I can't believe it's April and I haven't updated you on my No New Beauty Challenge!! My schedule has been so hectic it's been hard to find time to blog. But, here I am ready to share my progress report for February and March. You'll be happy to know that I'm still going strong with my challenge to buy no new beauty in 2018! Well...I did buy new deodorant in March...but that's just necessary and doesn't count based on my rules. During February and March I was able to finish 19 additional products!! That's a total of 38 empties so far for the year – woo!! It's also crazy that the last time I shared my update I also finished 19 bottles...but that was just in one month, and this was across two. While I've been successful in finishing the beauty products in my collection and not buying new ones, it's definitely been difficult. There are so many new products on the market I want to try – from Body Lava from Fenty Beauty to the C-Tango Eye Cream by Drunk Elephant. But I'm staying strong (it's a daily struggle) and window shopping my heart out at Sephora by adding a ton of stuff to my cart, looking at it, and then closing the app. Only 8 more months to go! These are my favorite face towelettes and I have been buying them for years. I've been trying to get in the habit of washing my makeup off vs. wiping it off with towelettes (because wiping leads to wrinkles! ), but on those nights where I'm feeling super lazy these wipes come in clutch. The tissues in this pack are super soft and gentle on your face, and the formula doesn't leave your skin feeling too oily or dry – which is a huge plus for me! While I might use these towelettes when I'm feeling lazy, I still do splash water on my face after removing my makeup. That way my face feels fresh before I put on my nightly skincare routine. I am a big fan of Nip + Fab and already gave this product raving reviews, but here it is again...I really like this product. It was very hydrating on my face and the formula worked well with my skin type. I liked to use it on its own vs. mixing it in with my moisturizer. I found it worked better that way. The only thing I didn't like about this product is the bottle itself. It broke a few months after I had it and the paint started coming off the lid and I felt like I always had pieces of its silver coating stuck on my face afterwards. Even though that packaging is awful, the product itself works and is super affordable and definitely something I'd purchase on my own. I didn't like or hate this product. I really felt indifferent by it. I used the entire thing because I didn't want to waste it, but I only really used it sparingly which is why it took me so long to get through this tiny sample sized bottle. 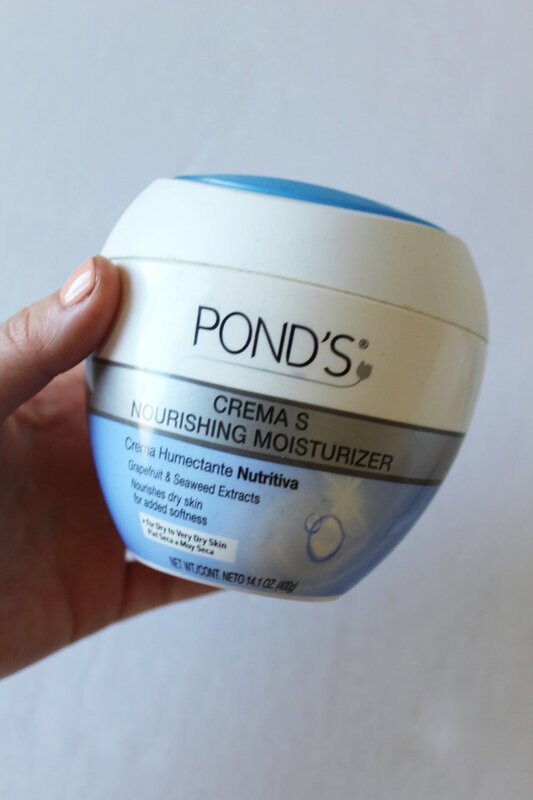 I liked the texture of the moisturizer and it felt good putting it on, but it didn't hydrate my skin as much as I would have liked. When I used this product I would usually use another moisturizer on top of it so my skin felt plump and hydrated when I woke up in the morning. This isn't something I would necessarily buy again, but the product itself isn't bad. I think it really just depends on your skin type. 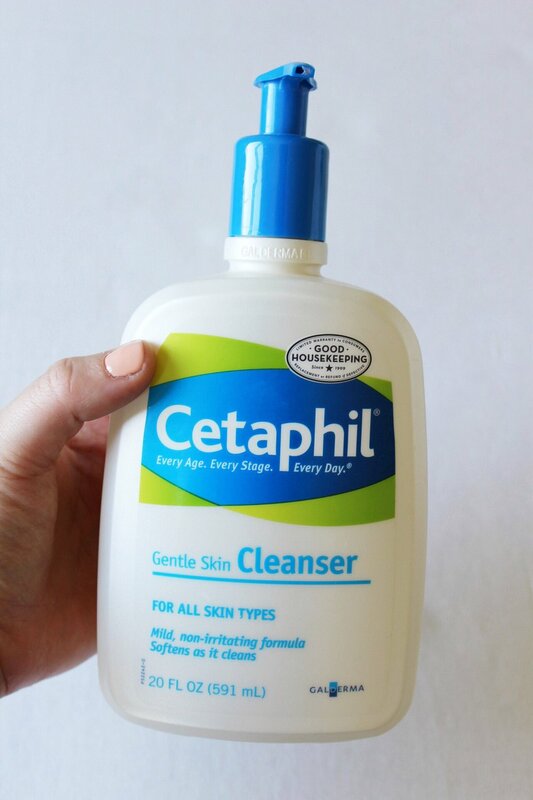 I grew up using this Cetaphil cleanser! When I was a teenager I really didn't like it because it wasn't "soapy" enough and I didn't feel like it was actually washing my face. But over the years as I've paid closer attention to my skincare routine and what types of products I'm using on my face, I realized that soapy doesn't equal clean skin. In fact sometimes soap means there are too many chemicals in that cleanser. No matter what, Cetaphil has always been gentle on my face and melted my makeup away. That was key. If it's gentle enough to keep my skin hydrated but strong enough to remove my mascara it's a winner. There's really nothing wrong with his deodorant, but I don't think I've ever had a deodorant that I really liked. The problem is I sweat. A lot. And not just like a little girly sweat. I mean I sweat like a guy. So no women's deodorant ever really works for me and the men deodorants smell terrible. I like the smell of this one, but the downside is it always got on my clothes. Since I wear a lot of black that was a big issue, but since I bought this in a dual pack I still have one more stick to go before I can get something else. I've been curious to switch over to a natural deodorant since a lot of these chain brands have a lot of chemicals that cause breast cancer (no thank you!). If you have any experience with organic/natural deodorants leave a comment below and tell me what your favorite brand is! I have a love hate relationship with nose strips. I love using them because it takes all that gross "gunk" off my nose and leaves it smooth. I hate them because it never really solves the problem with my black heads. But I recently learned that black heads might actually not be black heads. They could be Sebaceous Filaments - black dots that look like blackheads, but they're different. That's why I give this product a neutral thumbs up and down - because I don't know if it would work if they were black heads. Unfortunately you can't ever get rid of sebaceous filaments, because they are fine hair follicles with some dead skin around them. It's totally normal to have them, and it's even more normal to confuse them with blackheads. So if you have black dots that are hairy like on your nose or chin, and no amount of product can get rid of them it means they aren't black heads but instead are sebaceous filaments and there is nothing you can do about it. Sigh. 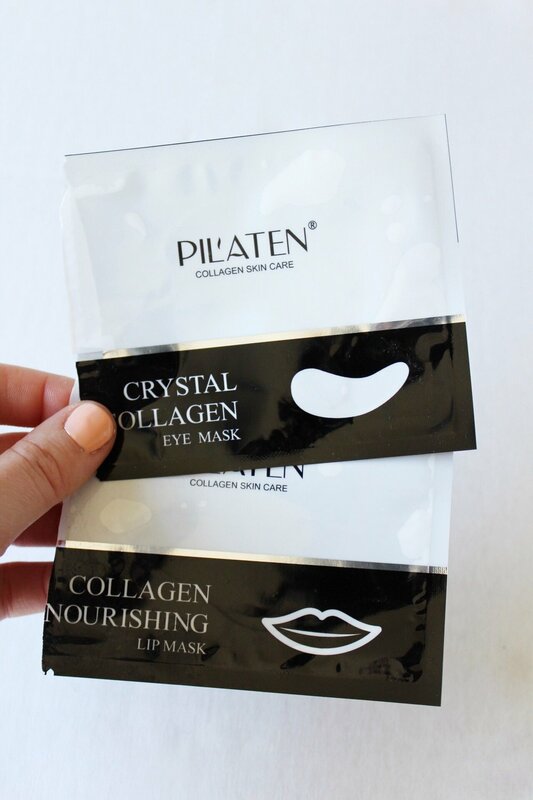 I already talked about how I really liked the Pilaten eye mask in my January Empties post. 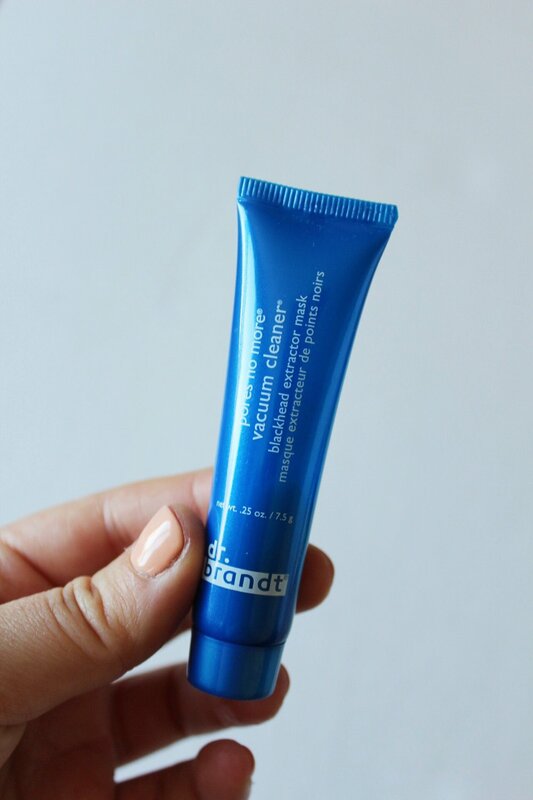 But if you missed it, it's hydrating and reduces the look of puffy eyes. I love using these masks when I'm feeling super tired or when I'm traveling. While I love the eye mask, I wasn't too fond of the lip mask. I've tried several lip masks and I honestly can't tell if they work or not. My lips don't feel any different after I use them, which makes me think is it just a placebo on people who say it does work? Who knows. All I know is it doesn't work for me. I really wanted to love this face cleanser. Part of me wanted to love it because it was Chanel, but the other part of me wanted to love it because I'm obsessed with Chanel face moisturizers. So how couldn't their face wash be just as good?! Wrong. It was terrible. Awful. The worst product I've tried in a long time. The formula was so drying on the skin. It smelled like cheap soap. It felt like cheap soap. Every time I washed my face with it, it was like I was washing it with bar soap. It didn't feel clean, but made my skin dry. I wouldn't recommend this product to anyone. I couldn't even fully finish this sample because it was that bad. I had to toss it halfway through because it wasn't worth drying my face over not wasting it. This mask was very interesting. I really liked the texture (it was super sticky) and the consistency of the mask while it was on. When it started to dry in certain areas, it would slowly start to peel off the skin itself, and when the entire mask was dry on your face it was super fun to peel off! Now, that being said, I didn't notice any difference in my skin after the mask. It didn't feel smoother or cleaner. My skin felt just the same as it did before the mask, making me wonder if the 15 minutes with it on was even worth it? I decided yes because peeling it off was so fun, but it's not worth my money to just have fun peeling it off my face. Similar to my post above about the Biore blackhead strips, this product didn't work for me because my "blackheads" are actually sebaceous filaments. So this product gets a thumbs down because it made no difference on my skin. It did feel nice going on and it did feel cool as it started to dry, which was nice. But other than that, it was a no go. I used to be obsessed with Toni & Guy. When I was in high school and going through my "scene" phase, I only got my haircut by Toni & Guy. I refused to go anywhere else. I loved how cool all of their stylists were, and at the time, it felt so luxurious to spend $60 on a haircut. Because I was so into the brand, I had tried quite a few of their products before and liked all of them. My favorite was always this sea salt spray. I have naturally curly/wavy hair, and I love using sea salt spray to give my hair more volume and texture. The downside to a lot of sea salt sprays is they can make your hair feel super greasy, but this one didn't. It kept my hair hydrated, bouncy, and made it super big, which I love. I would highly recommend this to anyone who wants to get a casual beachy wave. While I really liked this shampoo I used earlier in the year, I did not like the conditioner. The shampoo made my hair feel soft and shiny, but the conditioner made my hair super greasy and dry. 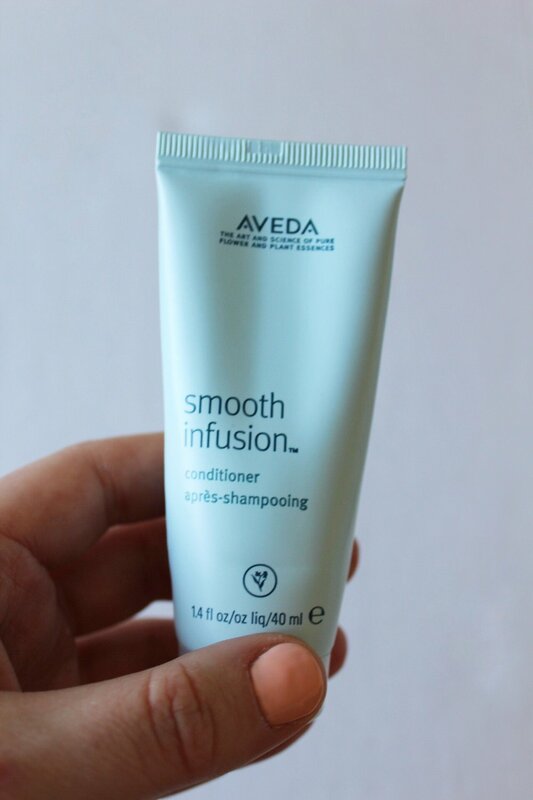 Even when I used the products together, the conditioner always ruined the texture of my hair. I tried using the conditioner with a different shampoo, and no luck. It still felt dry and greasy, and my hair felt really dirty the next day (I usually get 3 days out of each wash!). I definitely won't use this conditioner again. I've received a number of N.4 samples in the past from subscription boxes (like Birchbox and Ipsy) and this was the last product I needed to get through. It's safe to say I really love all the N.4 products I've used. All of their products work well with my hair type. This styling spray in particular is one of my favorites. I loved how it made my hair when I left it curly and when I straightened it. Most styling sprays don't last that long, but this one did. I felt my curls looked so much better after I diffused my hair when I used this spray, and the curls held so much longer than they normally would. This is something I'd love to have in my collection, and it's top of my list to purchase when my no buy is over. I'm obsessed with this dry shampoo and pretty upset that it's done. It was incredible for dark hair – no it was so easy to rub it all out after applying and there was never any white residue left over. It's always been hard for me to find dry shampoos I really like because a lot of them don't completely blend with my hair so I'm left with weird white patches all over my head. But this was perfect. Highly recommend for my girls (or boys!) with dark hair! I already gave this dry shampoo a stellar review last time, but it's one of the best dry shampoos I've ever used. Similar to Living Proof, there is no residue left over after you rub it on your scalp. But what I really loved about this one was the insane volume it gave my hair! It felt like it lasted all day and I loved that. I'm a big fan of big hair so I'd even use this dry shampoo when my hair was clean just to get more volume! 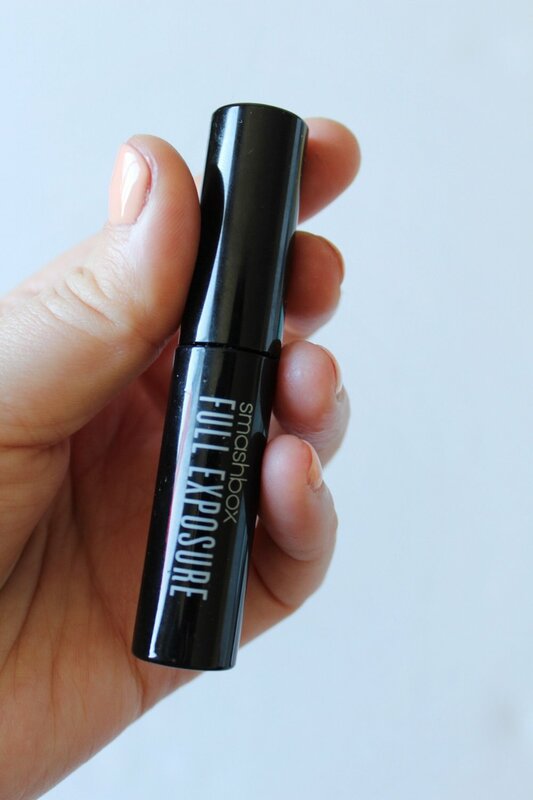 I've really liked almost all Smashbox mascaras I've tried, and this one was no different. I love the brushes on Smashbox. The brush design really helps add volume and depth to your lashes. I've been using this mascara for years and it's one of my go-to mascaras. It gives you volume and makes your lashes look so full. It almost looks as if you have really nice eyelash fillers. That's how perfect it makes them!